The two narratives published together in The Tragedy of Pudd’nhead Wilson and the Comedy of Those Extraordinary Twins are overflowing with spectacular events. Twain shows us conjoined twins, babies exchanged in the cradle, acts of cross-dressing and racial masquerade, duels, a lynching, and a murder mystery. Pudd’head Wilson tells the story of babies, one of mixed race and the other white, exchanged in their cradles, while Those Extraordinary Twins is a farcical tale of conjoined twins. Although the stories were long viewed as flawed narratives, their very incongruities offer a fascinating portrait of key issues—race, disability, and immigration—facing the United States in the final decades of the nineteenth century. Hsuan Hsu’s introduction traces the history of literary critics’ response to these works, from the confusion of Twain’s contemporaries to the keen interest of current scholars. Extensive historical appendices provide contemporary materials on race discourse, legal contexts, and the composition and initial reception of the texts. Around the turn of the twentieth-century, a number of American writers imagined that European culture could help them develop an external perspective with which to reinterpret racial double-consciousness in the United States. In Mark Twain’s Pudd’nhead Wilson, European culture winds affirmed the binaries of race in the American South; but in James Weldon Johnson’s The Autobiography of an Ex-Coloured Man, published eighteen years later, European culture helps foster ideas of cultural and racial hybridity, though they cannot be transferred entirely to America. I explore the “discovery” of blackness and final rejection of European identity common to Twain’s and Johnson’s novels. In Twain’s novel, the familiar figure of “the tragic mulatto” is juxtaposed with, and temporarily supplanted by, the more unexpected figure of the tragic immigrant, an outsider who can never become an assimilated American. Johnson then recalibrates Twain’s configuration of racial duality by turning the external conflict between African American mulatto and European immigrant twins into an internal struggle of double consciousness. Course Description: Toni Morrison’s Playing in the Dark: Whiteness and the Literary Imagination argues that the canonical American literary tradition can only be understood after recognizing the presence of an often silenced, but almost ubiquitous Africanist persona. This persona served as a negative stereotype against which the dominant American identity could define itself. However, even Morrison’s groundbreaking work re-inscribes the binary between Black and White in America and fails to theorize adequately the ways in which bi-racial and multi-racial identity have complicated the ideologies she discusses. This course will begin with Morrison’s analysis and then look at several novels and stories which the explore the instability of any color line between Black and White in America. Course Objectives: This course addresses the examination of how racial identity, particularly mixed race identity, is constructed in America through close engagement with selected literary works written by Americans since the end of the Civil War. By the end of the course students should have improved their critical reading and writing in ways which will enable their success in a wide variety of University courses. Further, students will have learned American historical background, feminist literary theory, patterns of racial construction, theories of performativity, and skills in analyzing artistic achievement within the works. Finally, the course aims to provide the framework for applying these skills and knowledge in engaging with the narratives students will encounter and create outside the classroom. 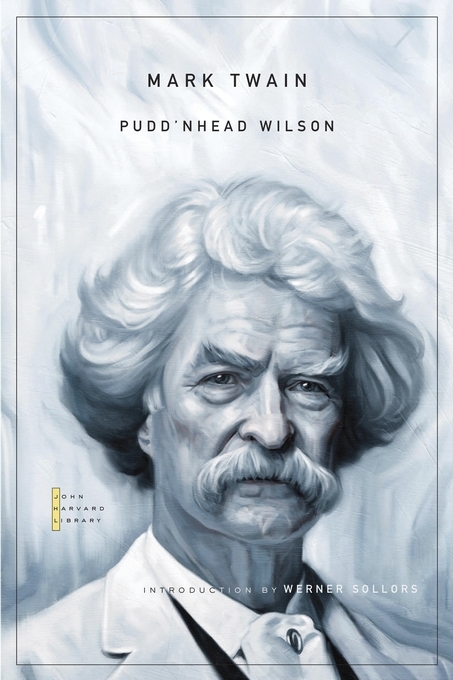 This research paper analyzes Mark Twain’s use of racist speech and racial stereotypes in his novel Pudd’nhead Wilson. Twain has often been criticized for his seemingly inflammatory language. However, a close reading of the text, supplemented by research in several anthologies of critical essays, reveals that Twain was actually interested in social justice. This is evident in his portrayal of Roxana as a sympathetic character who is victimized by white racist society in Dawson’s Landing, Mississippi during the time of slavery. In the final analysis, Twain’s writing was a product of the time period during which he wrote. This knowledge helps students understand the reasons behind Twain’s word choices, characterization, and portrayal of race. In his novel Puddn’head Wilson, Mark Twain uses racist speech and ideology to examine slavery’s consequences and make a plea for the elevation of the black race. Roxana, the true protagonist and an obviously sympathetic character, appears to be a white supremacist. This is a logical contradiction. It is one of many contradictions that lend the book its complexity and make it challenging to interpret. Roxana has a dual nature in more ways than one. She is smart yet always loses. She is committed to her own survival while being filled with self-loathing. She is free and relishes her freedom, yet can be bought and sold at any time. The carnivalesque drama of doubling, twinship, and masquerade that constitutes Pudd’nhead Wilson and its freakishly extracted yet intimately conjoined story, “Those Extraordinary Twins,” is likely to remain misread and controversial in estimations of Mark Twain’s literary achievement as long as the work’s virtual mimicry of America’s late-nineteenth-century race crisis is left out of account. Readers have, of course, often found a key to the novel’s interpretation in the notorious “fiction of law and custom” that makes the “white” slave Roxy legally “black” by allowing one-sixteenth of her blood to “outvote” the rest (8-9). Like so many parodic moments in the book, however. Twain’s joke about voting speaks not simply to general anxieties about miscegenation but more particularly to the deliberate campaign to disfranchise blacks and strip them of legal protections that was underway by the early 1890s. Built of the brutal artifice of racial distinctions, both American law and American custom conspired to punish black men and women in the post-Reconstruction years, and Twain’s bitter failed fiction, verging on allegory but trapped in unfinished burlesque, has been thought to participate in the black nadir without artistically transcending it or, conversely, without reaching its broader historical implications.